Since 1961, DIY customers in Battle Creek, Mich., have been coming to Jim Hazel’s Citgo and U-Haul Dealership for their moving equipment needs. After more than 55 years of serving the community, the location recently closed its doors. 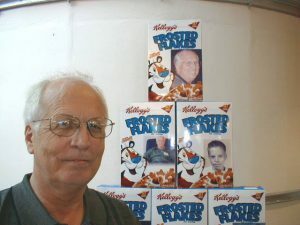 Jim Hazel Jr. with some custom-made cereal boxes in 2006, when Jim Hazel’s Citgo celebrated 45 years with U-Haul. Hazel’s father and grandfather ― Jim Hazel Jr. and Sr., respectively ― opened their first service station station in 1951. That was just six years after U-Haul was founded. They added U-Haul truck and trailer sharing to the business 10 years later and had been a U-Haul neighborhood dealer ever since. Hazel Sr. passed away in 1978, and Hazel Jr. died in 2013. Hazel III had been running the place for the past several years. He grew up around the family business, so it was something he was comfortable doing. “I started working there when I was 13,” Hazel III states. “Growing up, I didn’t really know anything else. I worked there through high school and thought 40 hours was part time, which is actually true when you run your own business. My dad and grandpa could always outwork me, though! Jim Hazel III says he has tried to uphold the legacy his dad and grandpa created. 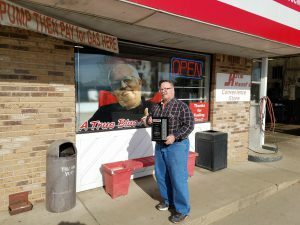 Now that he has had some time to step back and reflect on a three-generation family business that served U-Haul customers for more than 56 years, Hazel III has many fond memories. 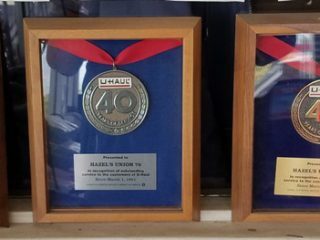 “U-Haul was a very good, steady source of income for us,” Hazel III notes. “It taught me how to have grace under pressure, because you’re dealing with people who are moving, which is one of the most stressful things they’ll do in their lives. Although Jim Hazel’s Citgo and U-Haul Dealership has closed up shop, there are plenty of U-Haul dealers in and around Battle Creek. Find one close to you at uhaul.com/locations.